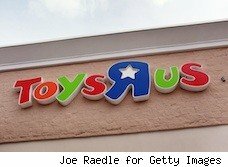 Toys R Us is ramping up the benefits you get from using its loyalty card this holiday season. Starting Sunday, October 31, members of the Rewards R Us program will earn 10% on purchases, that's triple the former benefit. Membership is free although you do have to sign up and make sure to scan your membership card with each purchase. Unfortunately, rewards dollars won't be issued until after the holiday. But while you can't use the rewards points on gifts given on or before Christmas day, you can return later for all the necessary accessories, add-on items and video games to go with the gifts that are inevitably required. There are loads more rules of course, and there's maximum amount of points ($50) that can be earned in a given period. There are other benefits like special promotions sent to members, a greeting card program that gives you one free American Greetings card for every five that are bought and the diaper and baby formula rewards program gets one free box or case respectively for every nine purchased. Not a bad deal, and just one more way retailers are trying to give shoppers some extra purchasing power.